Daniel Annie Pope, popularly called as Danny is known for his iconic 'Romba Sumar Moonji Kumaru' role in Vijay Sethupathi's Idharkkuthaane Aasaipattai Balakumara. He was also recently seen in films like Rangoon and Maragadha Naanayam. 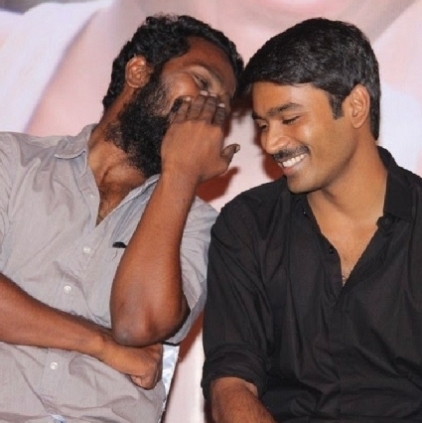 Behindwoods had an exclusive interview with the talented budding actor, and when we asked him if he was supposed to act in Vetri Maaran's Vada Chennai, he said, "Yes, It was I who asked a chance to Vetri Maaran sir in Vada Chennai, and he also called me during the first schedule. Unfortunately, I had already been shooting for Maragadha Naanayam, and there'd be continuity issues if I had to go for Vada Chennai. So, I missed it there. Once again, he called me during the second schedule for another role, but at that time, I was held up with another project, Oru Nalla Naal Paathu Solren. There would be continuity and date issues, and hence I opted out. I hope there is a third schedule for the film, and I will try my best to get a chance in that." Danny is also a part of director Bala's Naachiyaar, which has Jyothika and G.V.Prakash in the lead roles. It’s 5 years since this last ‘A’ certificate Ajith film’s release! People looking for online information on Daniel Annie Pope, Vada chennai, Vetri Maaran will find this news story useful.